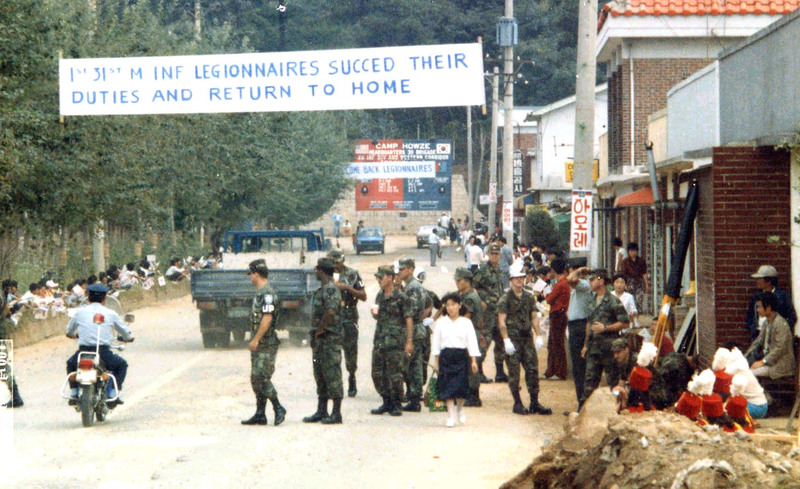 After 10 weeks on the DMZ in 1984, the 1/31 returns to Camp Howze amid a parade held by the local Korean Citizens of Bong Il Chong Village. Shown here is the main street of Bong Il Chong. A sharp left at the concrete block wall with the "Camp Howze" sign will take you into the camps main gate. If I remember right ?